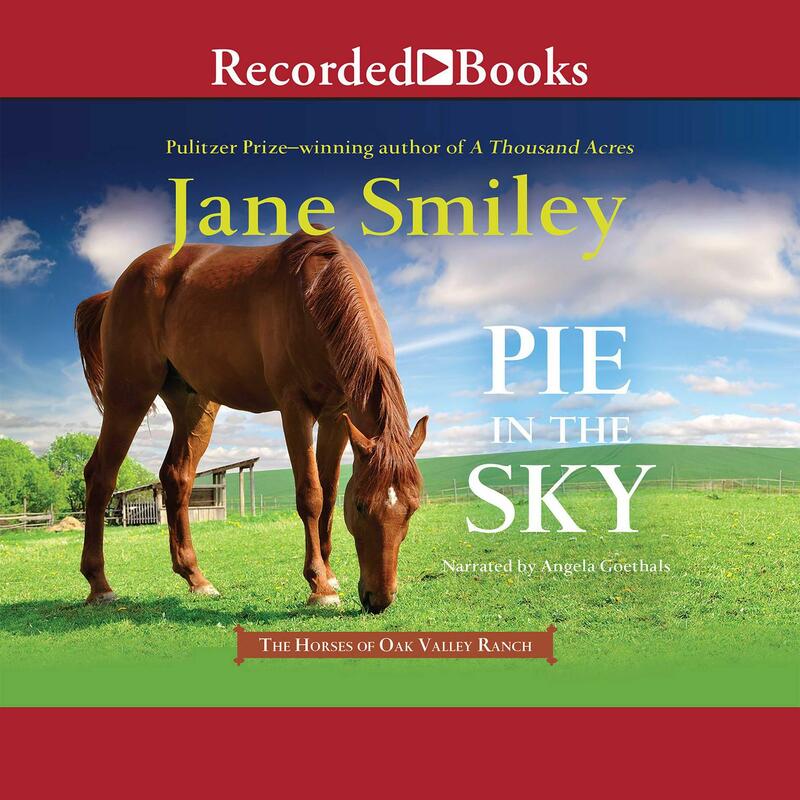 Pie in the Sky - Audiobook | Listen Instantly! Abby Lovitt doesn’t realize how unprepared she is when she takes her beloved horse, True Blue, to a clinic led by the most famous equestrian anyone knows. The biggest surprise, though, is that Sophia, the girl who never makes a mistake, suddenly makes so many that she stops riding. Who will ride her horse? Abby’s dad seems to think it will be Abby. Pie in the Sky is the most expensive horse Abby has ever ridden. But he is proud and irritable, and he takes Abby’s attention away from the continuing mystery that is True Blue. And then there’s high school—Abby finds new friends but also new challenges, and a larger world that sometimes seems strange and intimidating. She begins to wonder if there is another way to look at horses, people, and life itself. Accompanied by the beautiful imagery of 1960s Northern California, Abby’s charming mix of innocence and wisdom guide us through Pulitzer Prize–winner Jane Smiley’s latest middle-grade horse novel. Jane Smiley is the author of five works of nonfiction and more than twenty acclaimed works of fiction, including A Thousand Acres, which won the Pulitzer Prize for fiction in 1992. In 2001 she was inducted into the American Academy of Arts and Letters.